52 people had lost their lives at Reyhanlı due to a bomb attack. Mihrac Ural argues that the massacre of Reyhanlı was organized by the MIT (Turkish Intelligence) to blame Syria for the attack. He states that Recep Tayyip Erdoğan used thousands of terrorists and SADAT operators in all kinds of operations both inside and outside the country. 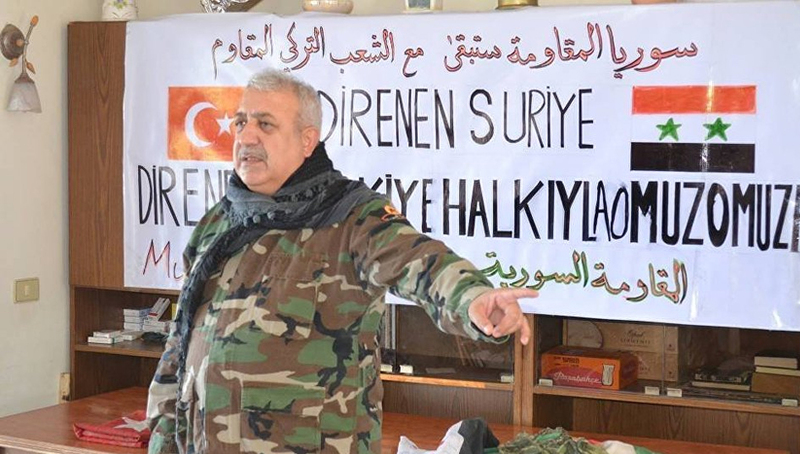 Ural, whose code name is Ali Kiyyali, is the leader of the Muqawama Suriyya (Syrian Resistance). When he was invited to the National Dialogue Congress organized by Russia, this incident had become a national crisis in Turkey. The excerpts are from an interview conducted by Grihat (Independent Journalists Platform). – What is the situation and where are the jihadist groups in Syria, especially in Idlib, retreating to? They have no place to go. On the one hand, the bloody dictator Erdogan uses dozens of large and small groups of the FSA (Free Syrian Army), on the other hand, there are the al-Qaida’s Nasara networks. They are trying to have a presence in the deep countryside of Syria. Among these terrorists, there are various ethnic groups from different parts of the world, from Chechnya to East Turkmenistan, and they are becoming more and more deadly militants, as they realise now that they have no chance of returning to their country of origin. Idlib was their last resort, the re-sharing of already shared areas comes from this deadlock. The bloody dictator and the MIT Undersecretary [Hakan Fidan] play with these networks as if they are tennis balls, Turkmens and others who pledge allegiance to the dictator are gathered under the name of FSA and they are used as pawns under the supervision of the expansionist NATO puppet TSK (Turkish Armed Forces). The rest are controlled by the Saudis and they terrorize the region. The bloody dictator does not hesitate to use terrorists in domestic problems. These terrorist groups are designed for use in the SADAT team [a paramilitary group created by President Erdogan in parallel to the army] as a tool in risky operations against the Kurdish people and across the country. Terror is a double-edged saw, it is certain to cut its owner in the end. In light of these, the only place left for terrorists in this region is to be buried under the ground as a carcass! -What will happen to the Free Syrian Army if Turkey withdraws from the region, and what are their numbers? Approximately 20 large and small groups patched together, the FSA are mine moths used like a puppet. An important part of them is from the Turkman mountain [Jabal Turkmannorth of Latakia]. On Thursday, November 19, 2015, under the leadership of the Syrian army, Muqawama Suriyya forces saved the Turkmen mountain from these rag-tag groups, after which they escaped to Turkey. Initially, they tried to combine various smaller groups under different names. However, with the intervention of different interest circles, they could not unite, and they fought against one other and became famous for escaping after the first contact. Later, the MIT intervened in the process and formed the FSA composed mostly of Turkmens, and named it Jaysh al-Watani (Army of the Homeland). Their only duty is to go to the front lines and surrender the positions gained to the NATO puppet TSK by being a martyr or a veteran, and engage in vile acts like murder, ransom, smuggling, making counterfeit money and even stealing livestock. These marauding terrorist networks serve as a puppet of the TSK in a semi-military format. This war will end and these people will be made citizens of Turkey and will become an extension of SADAT. However, it is not possible to keep 20.000 terrorists in check. It is obvious that there will be large and small mafia gangs that will emerge from these networks. Therefore, new plans will be put into use. It is clear that they will be kept busy when they are made a part of the ‘ranger’ system in villages to butcher and jeopardize the struggle for freedom and democracy of the Kurdish people. These terrorist groups will constitute a danger in Turkey. I would say that Turkish people will suffer from these terror networks as other peoples. – Did the talks in Istanbul, Tehran and Sochi have any results? Could you briefly summarize how the current situation looks? These interviews serve as a draft for the accumulation of efforts and propositions for peace in Syria. I was also present at the Sochi Peace Conference (29-30 January 2018). The conference was controversial but also symbolic for civilization and democracy, where 1511 delegates participated. No one intervened in the decisions we made in the end. It gave us Syrians a chance to talk to one another. Our most important decision was the refusal of all kinds of foreign intervention. The creation of a new and democratic constitution was the product of this conference. We are still discussing the decisions of this conference. It was also a compass for the Astana talks. Therefore, the current situation will be shaped by the strongest and most powerful on the ground and who wins the most military and actual victories. Although this process is extended from time to time given the interests of certain friends, the final decisions will be made in the shade of Syria’s victory. – In 2013, 52 people were killed in a bomb attack. Do you have a role in this?